In Drunken Master (1978), Jackie Chan is Wong Fei Hung, a young hellion who is constantly in trouble. Fed up with his son's behavior, Fei Hung's father sends him away to be trained by Beggar So (Yuen Siu Tien). Fei Hung considers this a punishment because, not only does the martial arts training require strenuous work, but Beggar So is well known for maiming his students! The young man manages to evade his master's grip, only to be disgraced in a fight with a proficient assassin (Hwang Jang Lee). Fei Hung returns to Beggar So to learn a style of martial arts known as the "Eight Drunken Immortals" so that he can redeem himself and regain his family's honor. When Jackie Chan and his fellow students (his "brothers") completed Peking Opera school, it was not surprising that they had trouble finding work suited to their skills. After all, the focus of their studies was physical training and performance, which took precedence over academics. Eventually, Jackie and a few of his Peking Opera brothers (most famously, Sammo Hung, Yuen Biao and Yuen Wah) found moderate success as stuntmen. All four of them came to work on movies showcasing the rising star, Bruce Lee. 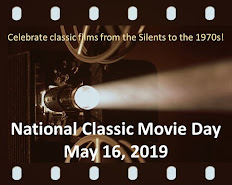 Following Lee's untimely death and the release of his first starring American role, Enter the Dragon, in 1973, Bruce Lee became an international household name. Hong Kong and American audiences wanted to see more, but with Lee gone, studios had to look elsewhere. Unfortunately, the majority of these studio execs wanted to replace Lee, sometimes quite literally, by naming actors Bruce Li or Bruce Le. Other actors would simply attempt to replicate Lee's mannerisms (e.g., that wonderful face he would make when he was truly angered), or studios would cash in on old footage of the star, such as his short-lived TV series, The Green Hornet, being reedited into two feature length films (focusing on Lee, of course), The Green Hornet (1974) and Fury of the Dragon (1976). When Jackie Chan finally moved from extra/stuntman/supporting player to starring role, he worked with director Lo Wei, who'd helmed Lee's hugely successful Hong Kong movies, The Big Boss (1971) and Fist of Fury (1972). According to Chan, Lo took credit for at least some of Lee's success and resulting popularity. Not surprisingly, Lo wanted Chan to be another Bruce Lee (one of their early films together was the 1976 New Fist of Fury). Chan's resistance to emulating another actor led to many disagreements between star and director, and Lo blamed their string of disappointing box office results on Chan's stubbornness. Chan, however, soon proved that he was not the reason for the failures. The very first time Chan was "loaned" to another studio, he and a young director named Yuen Woo-ping made Snake in the Eagle's Shadow (1978), in which Chan was finally able to display his knack for comedy and stunningly choreographed fight sequences. Director Yuen, who also attended Peking Opera school, would achieve great success later as a filmmaker and action choreographer (and is, sadly, only known in the U.S. as the choreographer of the overrated The Matrix (1999) and Ang Lee's 2000 film, Crouching Tiger, Hidden Dragon). Snake in the Eagle's Shadow was a success, but it was Yuen and Chan's second picture together (filmed just a few months later), Drunken Master, that made Jackie Chan a star. Both films starred Yuen Woo-ping's father, Yuen Siu Tien. 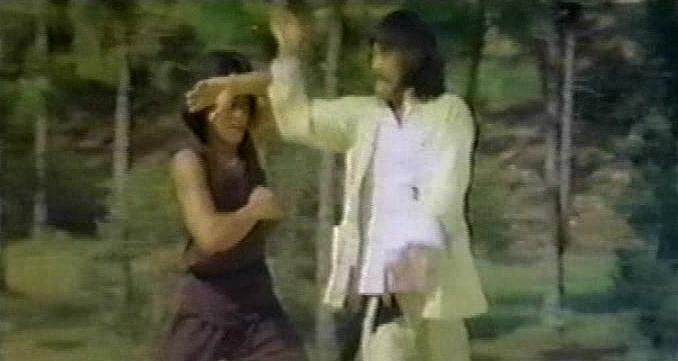 With these films began Chan's comic, kung fu style, as well as the injuries he would sustain in the years to come. In Snake in the Eagle's Shadow, the actor had his arm slashed open by a sword and one of his teeth knocked out, and he nearly lost an eye while filming Drunken Master. The deal with Seasonal Films (the studio to which Chan was loaned) was only for two pictures, so the star went back to working with Lo Wei. When Chan tried to join the Golden Harvest studio, Lo reportedly attempted to involve triads (the Chinese criminal organization, similar to the Mafia), which unfortunately controlled much of the Hong Kong film industry. The dispute was eventually settled, with the help of actor/director Jimmy Wang Yu. Chan's first film with Golden Harvest (and away from Lo Wei) was one that he co-wrote and directed, The Young Master, in 1980. It eclipsed the box office records held by Bruce Lee's movies. 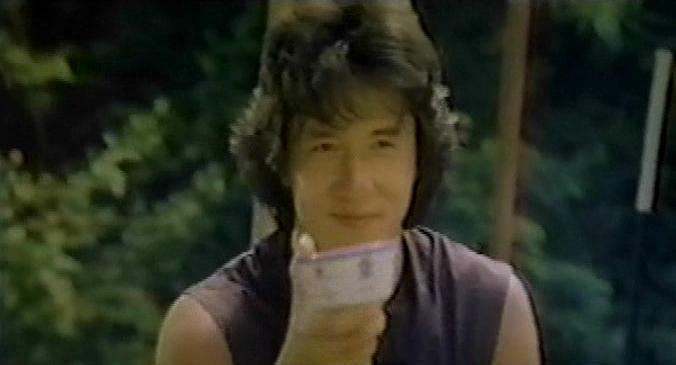 By the time Chan made Police Story in 1985, he was internationally famous. Wong Fei Hung was an actual person, a legendary Chinese folk hero. He was a martial artist, a physician, and a teacher who dedicated his life to helping the poor and the weak (Chan referred to him as a "Chinese Robin Hood"). Before Chan first portrayed Wong in Drunken Master, Kwan Tak Hing had played the character in approximately 90 films. When he was around 75 years young, Kwan played Wong Fei Hung again in The Magnificent Butcher (1979) and Dreadnaught (1981), the former film which starred Chan's Peking Opera brother, Sammo Hung, and both films which were directed by Yuen Woo-ping and starred another of Chan's brothers, Yuen Biao. The "drunken boxing" which Chan displays in Drunken Master is Zui Quan, which, literally translated, means "drunken fist." It consists of the fighter utilizing movements giving the appearance of drunkenness. This form allows for fluid motions for attack and various distractions to confuse the opponent. Being drunk is not necessarily a prerequisite, but, as the film suggests, it helps considerably. In 1991, Jet Li starred in his own series of Wong Fei Hung movies, Once Upon a Time in China, directed by Tsui Hark. The star and director made two more films together, and Vincent Zhao took over the role in parts IV and V, the latter film which was also helmed by Tsui. Sammo Hung directed Li in the sixth installment, Once Upon a Time in China and America (1997). Chan performed the song for the closing credits of Once Upon a Time in China II (1992). Sixteen years after Drunken Master, in 1994, Chan reprised Wong Fei Hung in Drunken Master II. The sequel not only surpassed the original, it's also one of Jackie Chan's greatest films, with splendid comic antics, thrilling fight sequences, and a scene-stealing Anita Mui. The movie was released theatrically in the States in 2000 (after a string of Chan's Hong Kong films were playing to great success on American screens) as The Legend of Drunken Master, cut, dubbed, and re-scored, which, sadly, was a fate that befell the majority of Hong Kong films in the U.S. However, even most Hong Kong DVD copies are either of poor quality, cut, or a combination thereof. Uncut versions really only have one additional sequence, which concludes the film and is, admittedly, a scene of rather paltry taste. Good quality copies of Drunken Master II with the final scene intact are rare and highly sought after commodities. I own such a copy, and yes, I'm bragging. Random trivia: In this month's Bond Is Forever, I'd mentioned Yuen Qiu, who had a small part in The Man with the Golden Gun (1974), starring in Stephen Chow's Kung Fu Hustle (2004) as the landlady. Her husband is played by Yuen Wah, who had attended Peking Opera school with Jackie Chan. Sark, this is an incredible tribute to Jackie Chan! I didn't realize how little I really knew about the world's top action film star for most of the last two decades. I first heard of Jackie in the 1980s and saw his American film THE BIG BRAWL on video. Jackie was fun, but the movie was just OK and I didn't understand all the hoopla. A few years later, though, I saw a Jackie interview and some amazing clips from his other films on a TV series called THE INCREDIBLY STRANGE FILM SHOW. I was astonished at what I was missing when I saw scenes from PROJECT A and ARMOUR OF GOD. I sought out DRUNKEN MASTER 2 since it's often mentioned as his best film...and I've been hooked eve since. (Anita Mui is indeed splendid in that movie. Doesn't she play Jackie's mother even though she's younger than him?) I'm glad you pointed out that many of his films are cut for U.S. release. I've been lucky enough to see a handful of the uncut originals. Again, I thoroughly enjoyed this piece on the gravity-defying Mr. Chan. I know so little about this genre of film, and you have given a good background from which to draw in choosing for the first time. My son loves Jackie Chan and has been on me for a long time to give it a chance. I have seen him in the 2 comedies he made with Owen Wilson, but those apparently do now showcase his real talent. I'll have to give it a try. Do you recommend Drunken Master as a good introductory movie in this genre? Rick, yes, Anita Mui would have been about nine years Jackie Chan's junior! I think she's his stepmother, so I guess we're meant to surmise that his father has a young wife. But she was considerably younger than Jackie and looked it. Becky, I think DRUNKEN MASTER would be a good intro to the cinema of Jackie Chan, or the genre altogether. Other good choices for Jackie's films are POLICE STORY or POLICE STORY III: SUPERCOP (which is just called SUPERCOP in the U.S. and co-stars the wonderful Michelle Yeoh), ARMOR OF GOD II: OPERATION CONDOR (which is just OPERATION CONDOR in the U.S., while the first one, ARMOR OF GOD, has a U.S. title of OPERATION CONDOR II: ARMOR OF GOD! ), or PROJECT A II (which is actually called PROJECT A II in the U.S.). He made some really good sequels, apparently. Sark, great profile on Chan's work. I've never seen the original Drunken Master, but I did see Legend of Drunken Master (Jui Kuen II) recently and found it truly entertaining. I agree with everyone who said Anita Mui was a big scene stealer in this. She was hilarious. Thanks for highlighting Chan and this film. BTW, forgot to say how I got turned on to Legend of Drunken Master in the first place. It is on Time Magazines All-Timm 100 Movies list. I love Jackie Chan!!! Which of his movies was the one where he hit his head and almost died? Anon, ARMOR OF GOD, from 1986. It was a simple jump, but Jackie missed his mark and fell quite a ways down, where (according to Jackie), the cameraman grabbed his camera and moved out of the way! Kim, thank you. 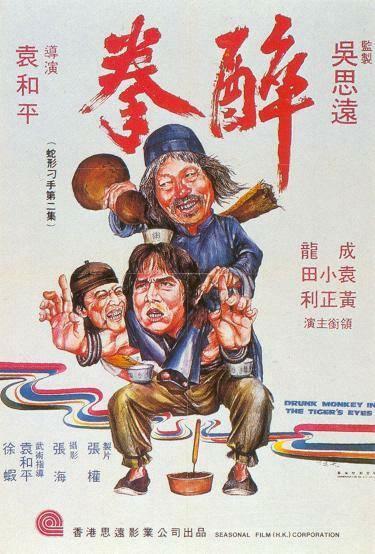 If you liked DRUNKEN MASTER II, I'm sure you'd like the original. Anita Mui is so good in II. If you haven't seen her in anything else, I can definitely recommend some movies for you! 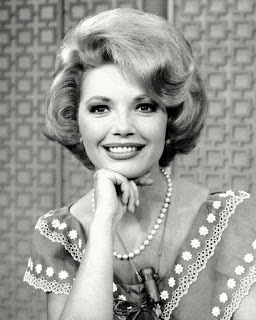 She was a terrific actress, both in drama and comedy. Action, too, actually. Sark, this is an outstanding profile on Jackie ( I do my own stunts regardless of peril to limb, much less, life) Chan! Thank you for filling us in on his fascinating back story. I think he is very charismatic and has some fascinating expressions for the camera. I enjoyed his work with the very talented Anita Mui. Have you ever noticed how if there is a meal being eaten in a movie you want that food? Well just thinking of the genre makes me want some good Oriental food for dinner. Guess I shouldn't be checking in around dinner time! Sark, this is an outstanding post on Jackie Chan. I love his movies with his good fighting skills, his wit, and his charming personality. Your post is very informative. Chan's early movies are awesome, and I think his more modern movies are great too. I really like The Rush Hour movies and saw The Forbidden Kingdom in 2008. Needless to say Chan stole the scenes in both movies. I enjoyed reading about him. toto, I'm pretty sure that's not Jackie's middle name, but it sounds about right! Anita Mui worked well with Jackie, and I agree about his expressions. He was a talented actor, and sometimes people don't realize that he's not just a superb martial artist/stuntman, but a fine comedian. And I did notice that about food in films. Watching a movie like DRUNKEN MASTER makes me craves noodles. Aki, I, too, like Jackie's early films, and I'm also a fan of his later ones. Some of his fans aren't happy with his U.S. movies, but I thought the RUSH HOUR films (especially the second one) and his movies with Owen Wilson were enjoyable. He's got a recent Hong Kong film called SHINJUKU INCIDENT (a drama! what?! Jackie?!) coming out on U.S. DVD soon, as well as THE SPY NEXT DOOR, an American film that was released in January. Sark, I'm not very familiar with Jackie Chan's movies. But I did enjoy reading your wonderful review.. Next time that I see a Jackie Chan's movie on the tube. I will give it a try. Great blog post! I've been a fan of Jackie ever since I saw Drunken Master in the late 1970's, and he keeps rocking my world!